Is Your Small Business Antivirus Solution Really Up to the Job? Most small business leaders already know that they need some sort of antivirus software installed and running on business computers. But even with antivirus software installed, how can they be sure their system is protected and optimized? Are you using a consumer or a business antivirus solution? Individually installing a consumer antivirus program on each workstation may seem cheap and easy, but it also means you are trusting control of security to your end users. Are they qualified to make the right decisions when the software hits on a threat? Can you trust them to keep the software updated? Conversely, with a business solution, you get administrative control over this vital process, ensuring all workstations are under the same protocol and all are protected from the latest malware threats. Does the antivirus solution always up-to-date with a broad-range of protection from viruses, malware and spyware? New security vulnerabilities are announced daily, and these include not just the more well-publicized viruses, but software vulnerabilities that aren’t so well-known. IT professionals can spend a lot of time being proactive in making sure systems are up to date with all needed patches. But a small business owner has other things to do! That’s why you want to know that your security solution is automatically and regularly maintained with the latest updates. Does the antivirus solution hog computing resources and seem to slow down other computing tasks? Full, broad-spectrum and up-to-date malware protection can come at a price. In order to keep up with the fast-changing landscape of threats, many software vendors add layer upon layer of new features to their product, resulting in bloated, resource hogging solutions that slow down system performance and require off-peak scanning times. Small business leaders rate performance as one of the top criteria for choosing a particular anti-malware solution, yet performance is the number one reason most cite for being dissatisfied with their current solution. There are other options out there! Do your research into comparable scan times, and memory and CPU use. You can also read IT publications or IT professionals to get their recommendations on a solution that best fits your business needs. Are employees using laptops protected even when they aren’t connected to your internal network? When mobile employees are computing off-network, you can’t rely on perimeter defenses, such as security measures provided at the Internet Service Provider level, or installed within your internet gateway appliance. If there are any mobile workers in your organization, you need a layered approach to security: each “end-point” must be protected, not just your perimeter. Even if your network is secure, what about internal threats? 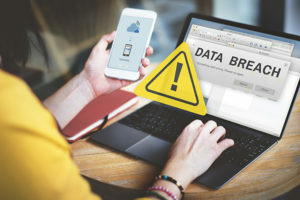 Channels of attack can include any number of devices that your employees might connect to the network: smartphones, external hard drives, USB sticks, etc. Any of these could lead users to unknowingly introducing malware to your organization. 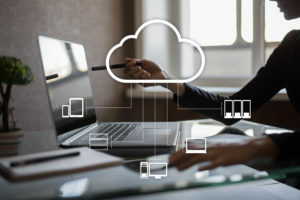 With a layered anti-malware solution for small business, devices that are connected to your network are secure, and you can use the administrative access to block certain types of devices and files from getting access to your network. 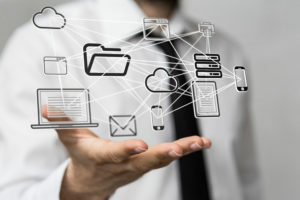 If you aren’t sure whether your current antimalware solution is truly meeting your needs, contact a professional in IT support for small business to get help assessing your system and sourcing a new solution that’s affordable, easy to manage, always up-to-date, and provides layers of security to fit your business needs.